For guests who love trekking, the Forest Research Institute Tour is the one for you! 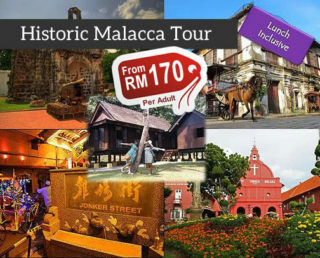 The tour will be a 5-hour tour that will take you through a jungle trek and other exciting outdoor activities. 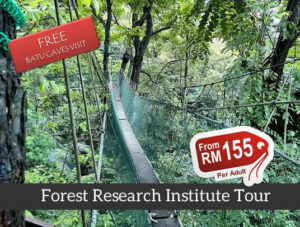 This tour happens mainly in the Forest Research Institute Malaysia, which is recognized as a top research organization, in the field of tropical forestry, in the world. Today, the Institute spans a 545-hectare site that sits adjacent to the Bukit Lagong Forest Preserve (Kepong). Nature loving guests will get to discover many new species of flora and fauna found in the country. 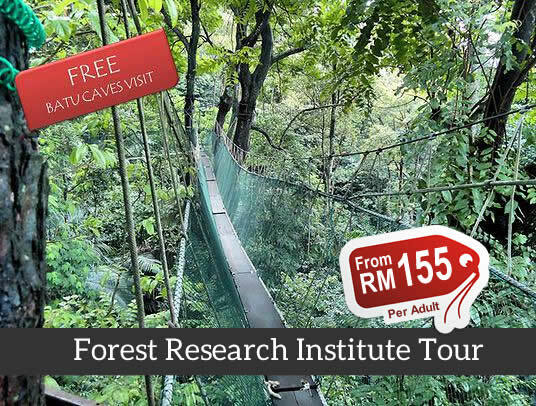 You will also be treated to a hanging canopy adventure and have a breathtaking view of the city of Kuala Lumpur through the lush greenery. Before coming on board the tour, make sure to bring along a towel, wear outdoor attire, sports shoes, a cap and insect repellent. It is recommended to bring along towel, outdoor attire, sports shoes, cap and insect repellent. Watch this video to find out more about FRIM park. LOVE THE LUNCH SERVED! So healthy and yummy. Beautiful well maintained institute! Brought my Envi Mgt class here for a tour. It was less hassle to have your team handle the tour! From the logistics to lecture, it was all covered! It is hard to bring a long more than 20 students for a out of town trip, so I decided to book with My Travel Lane. The students I’m sure learned and enjoyed a lot! Congratulations to you. We didn’t know we’d be able to finish the whole tour of the Bukit Lagong Forest Preserve in a day. But we did and got the full nature experience with this tour! Beautiful garden, well planned trips, nice experience. I love my trip here! So memorable! Will recommend this to everyone! This tour is ideal especially if you’re travelling with elders who appreciate nature. I went with my parents, aunt & uncle and they enjoyed the tour. Thanks a lot gor the beautifull day. It is a great experience for us. The view is beautiful and the rainforest is amazing. the pick up was on time. the tour guide was friendly and fun to be with. 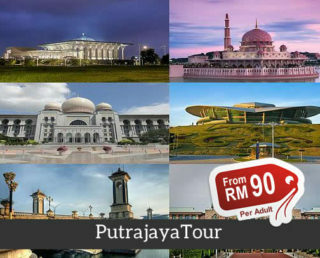 we’ll recommend it to our friends when they plan to visit KL. Great experience and easy to use service, was absolutely convenient.. will return soon.